The Nonprofit Center offers two levels of benefits and savings to meet your organization’s goals for professional development, with fees based on your annual operating budget. Individuals not affiliated with a nonprofit can also take advantage of a special Membership program designed for them. All benefits must be used within the 12-month membership period. 2 free admissions annually to our popular Panel Discussions where you can get up close and personal with the decision-makers at prominent foundations, media representatives and other key opinion leaders. 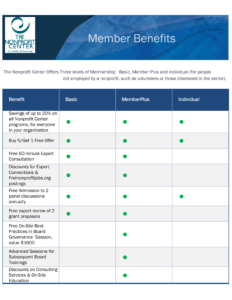 If your organization is considering a consulting project, such as strategic planning, a capital campaign, or leadership transition, your first step in that process should be becoming a MemberPlus of The Nonprofit Center. 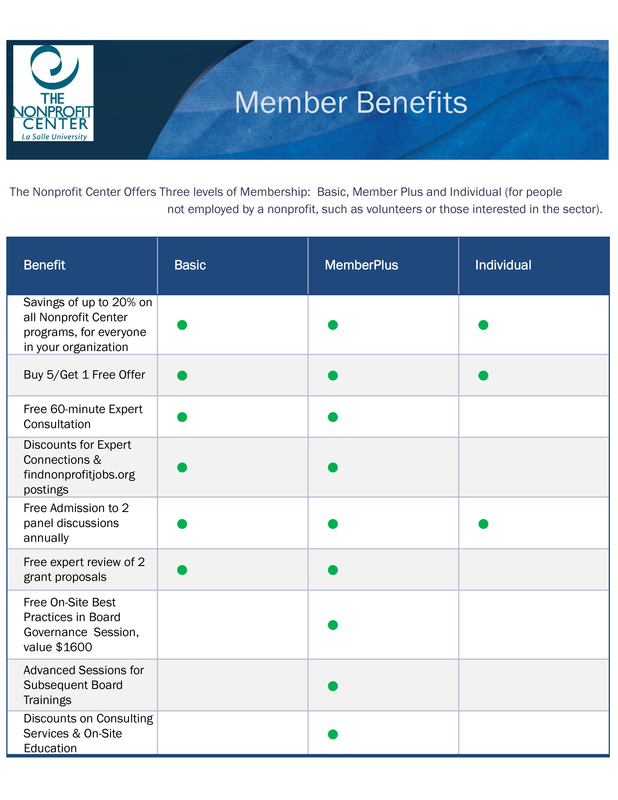 If your board of directors could benefit from a specialized on-site training to enhance its performance and experience, your first step should be becoming a MemberPlus member of The Nonprofit Center.